Join Jen Fluker as we share her experience training for her very first half marathon! 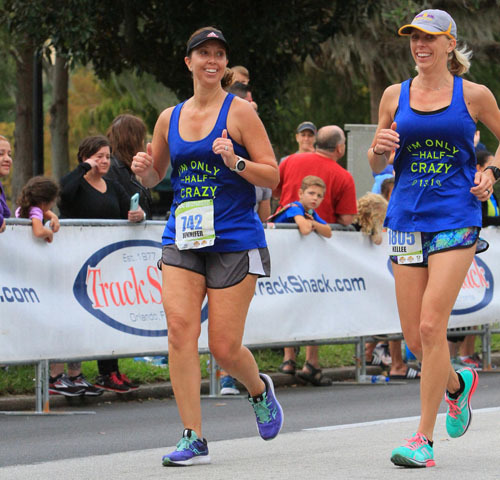 Jen is running the 42nd Annual OUC Orlando Half Marathon on December 1st. Check in every other Thursday to hear about the highs and lows of her journey! Read her story below the videos! CONGRATS JEN, ON COMPLETING YOUR FIRST HALF MARATHON! Hi my name is Jen Fluker! I’m 36 years old. I’m a wife to my loving husband Andy, and the mother of two kiddos named Cody, he’ll be 8 soon, and Emma is 5. I also have a bonus son, Jacob, that’s 24! I work part-time as the Development Coordinator for Girls on the Run Central Florida and I’m also an Independent Consultant for a health and wellness company called Arbonne. I’m a free-spirited person that has a passion for travel, adventure, and anything out of the ordinary! Having exciting new adventures is something that I purposely seek out. It drives me to turn even the most monotonous days into something different and hopefully a little more thrilling than the last! Providing for my family and wanting to show them what is possible to achieve is what guides my decision making in every aspect of my life. I decided a couple months ago that I was going to take on a new challenge. I am going to run my first half marathon! So why did I decide to run 13.1 miles? I’ll have to rewind just a little. I started working for Girls on the Run in 2016. Girls on the Run® or GOTR is a non-profit organization dedicated to creating a world where every girl knows and activates her limitless potential and is free to boldly pursue her dreams.Meeting twice a week in small teams, we teach life skills through dynamic, interactive lessons and running games. The curriculum is taught by certified Girls on the Run coaches and includes three parts: understanding ourselves, valuing relationships and teamwork and understanding how we connect with and shape the world at large. Running is used to inspire and motivate girls, encourage lifelong health and fitness, and build confidence through accomplishment. Important social, psychological, and physical skills and abilities are developed and reinforced throughout the program. At each season's conclusion, the girls and their running buddies complete a 5K running event which gives them a tangible sense of achievement as well as a framework for setting and achieving life goals. The result—making the seemingly impossible, possible, and teaching girls that they CAN. Pretty amazing right!?! So here I am, working for an organization I am extremely passionate about supporting, but I’m not a runner. My “thing” was yoga! I didn’t like running! Slowly but surely I signed up for races. Track Shack’s 5k’s, the UCF (my alma mater) 2 mile and 5 mile, a run/paddleboard race, and the OUC Half Marathon! I guess I drank the Kool-Aid. I was surrounded by runners in all aspects of my life. My co-workers, my best friends, and my son who is currently running cross-country at his school! 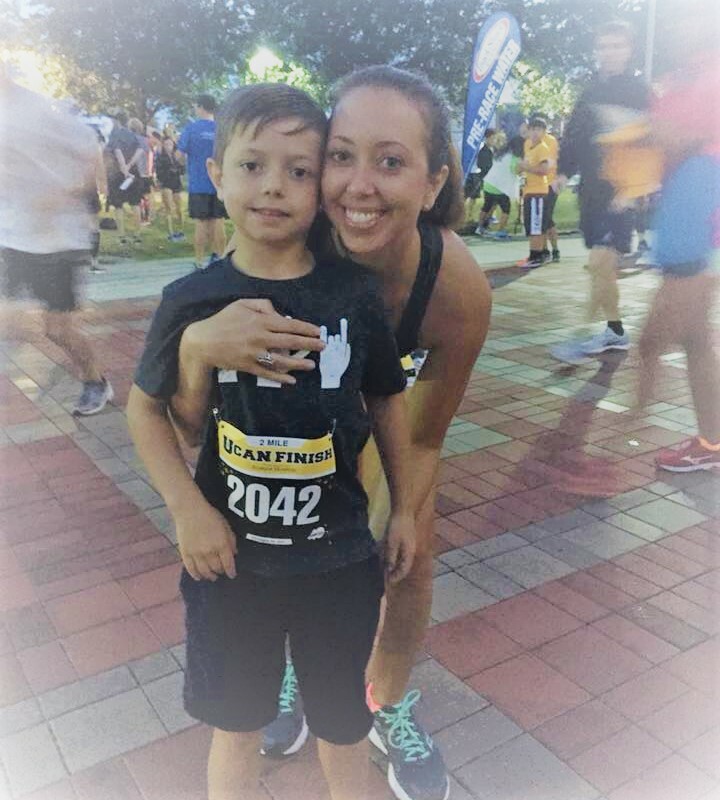 I chose the OUC Orlando Half Marathon for a couple different reasons! Girls on the Run’s celebratory 5k used to be the Lake Eola 5k which is the sister race to the OUC Half. - I had been working that race for a couple years and witnessed the enthusiasm of thousands of people crossing the finish line in downtown Orlando which has been my home for the last 18 years! - The race starts and finishes around Lake Eola, a beloved staple in our community. she was going to run in 2018 and wanted to know who was in, I said yes! After I officially registered for the race I immediately wondered if I had it in me to do it. I knew it was going to require a dedication to training, which would take time from my already busy schedule. And then even if I did train could I really finish? If I did finish and it took me longer than all my friends would I feel embarrassed? These were all the questions running through my head. This summer I’ve been running 3 miles 2-3x a week knowing that I needed to start preparing! Every run gets me closer to a feeling of excitement rather than being in a place of fear. Even though I don’t always feel like doing it, I do feel stronger with every run! I’m so excited to start my official training on September 1st. I’ll be following Track Shack’s 13 weeks to 13 miles training guide. The guide makes it so simple to know exactly what you should be doing every day to get ready for the big race! I’m excited to share my journey to the OUC half with you. The ups, the downs, and everything in between. Every couple weeks I’ll share my training experience. 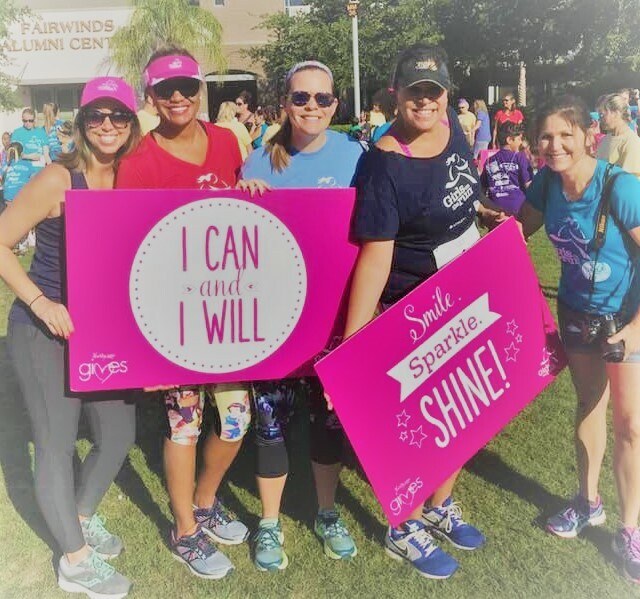 At Girls on the Run we teach our participants that anything is possible with hard-work, determination, and a positive attitude! We hope that through our curriculum they realize their limitless potential. I hope you’ll join me in celebrating this sentiment no matter where you’re at in your running journey. Join me in challenging yourself to grow in every way you’ve ever dreamed of. Next on the list is getting fitted for new pair of shoes at Track Shack. I can’t wait!